In 2019, emerging technologies are transforming industries across the world - and oil and gas is no exception. That’s because the oil and gas industry is currently in a high-risk, high-opportunity environment. Low oil prices over the last few years have shown a degree of volatility in the sector. But this situation has also led to more and more decision-makers at oil and gas companies embracing new technologies to streamline inefficiencies. Sustainability - in terms of cost efficiency, but also in a broader sense - is within reach for the oil and gas industry. And it’s clearer than ever that modernizing business models and workflows with disruptive tech is an important step on the path to getting there. Drones, augmented reality (AR), blockchain, and virtual reality (VR) are 4 of the most important emerging technologies influencing the industry today. Read on to find exactly how you can utilize each of these technologies to reduce waste, save money, and improve on-site safety. Drones and UAVs (unmanned aerial vehicles) are poised to play a pivotal role in the oil and gas industry - from improving safety in the field to increasing visibility at drilling sites. That’s why the market worth for oil and gas industry drones is expected to reach a whopping $4 billion by 2020. Spills, fires, and other emergencies remain an unfortunate fact of life for oil and gas companies in 2019. But with drones, professionals in this space are able to handle crises with a new level of confidence and safety. Drone operators can deploy UAVs to assess emergencies before, or rather than, sending out field personnel. Deploying drones in this way keeps more people out of harm’s way, but still gives operators the site visibility they need to take next steps. Site visibility is key for oil and gas companies in many non-emergency situations too, like well site inspections. But the traditional methods for getting this visibility are costly and wasteful. Consider an offshore drilling platform. It was once necessary to use a helicopter just to perform a routine inspection. But today, tasks like this can be accomplished with a simple drone flyover, drastically reducing waste and cost. Augmented reality (AR) places digital images on top of the real world using AR headsets, smart glasses, phones, or tablets. Though AR is most widely known as a gaming technology (think Pokémon Go), it’s becoming more popular in professional industries, like oil and gas. In fact, AR revenue in the energy and utilities sector is predicted to hit $18 billion by 2022, with industry leaders like BP and GE already using the tech. AR’s popularity in this sector is growing because it can cut down on waste and expenses while improving employee safety. For one, on-site technicians can use AR to instantly connect with off-site specialists, significantly reducing travel costs for flying expert to remote facilities. With this use of AR technology, experts can guide technicians through tasks with audio and video - decreasing the possibility of costly or dangerous errors on-site. AR can also be used to overlay relevant data on the field. Utilizing an AR headset, a field technician can visualize exactly where a pipeline is located underground to avoid any sort of breakage or accident during the digging process. Another recent innovation disrupting the oil and gas industry today is blockchain - a technology that, most simply stated, “allows digital information to be distributed, but not copied” efficiently and transparently. You may be familiar with blockchain as the technology behind cryptocurrencies like Bitcoin and Ethereum. But did you know that blockchain can be used to make all sorts of transactions - not just currency exchange - more open and secure? That’s why blockchain is taking off in the oil and gas industry. One blockchain use case is in commodity tracking and trading. With crude oil being one of the world’s most globally traded commodities, it’s no surprise that the industry requires an infrastructure to track these trades. But today, the oil and gas industry uses siloed, overly complicated records to track trades. Records of this sort are expensive, require routine maintenance, and can be vulnerable to cyber attacks. On the other hand, blockchained ledgers are inexpensive and secure - and don’t require the time-consuming maintenance necessary with older solutions. Demonstrating the potential of this use case, ENI, BP, and Wien Energie collaborated with BTL Group to track trades using enterprise blockchain technology - and found that they could reduce overall trade tracking costs by 30-40%. Virtual reality (VR) differs from AR in that it brings users into an entirely digital world, instead of just overlaying images on top of our own reality. Like AR, VR’s popularity in enterprise organizations is steadily increasing. Today, a variety of professionals are using this technology - from architects and the construction industry to doctors and marketers. So how can the oil and gas industry benefit from VR? For one, safety training can be more effective than ever with the help of VR. In a high-risk industry like oil and gas, getting employees experience with oil drilling platforms and other highly complex machinery before using them on-site can save lives - as well as time and money. Just as importantly, Virtual Design & Construction (VDC) or technology specialists at oil and gas companies can walk through field locations without traveling to them using VR tools. 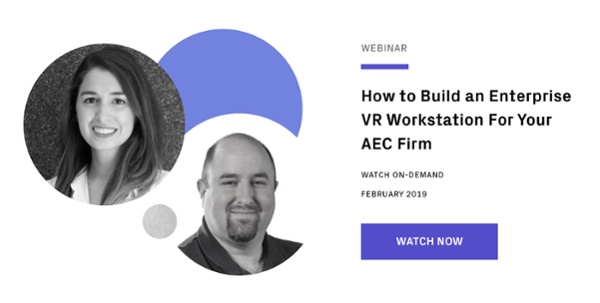 You can learn about how to get started from experts in the field in our new best practices webinar, "How to Build an Enterprise VR Workstation." We’ll walk you through everything you need to know, from what VR headsets are best to budgeting for VR in 2019.